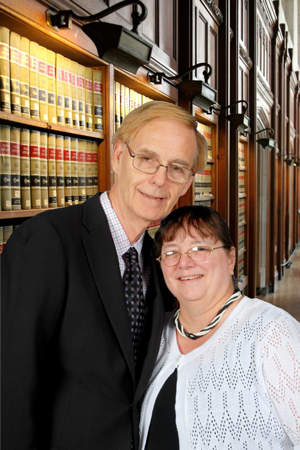 I am a longtime Christian attorney of over 35 years experience, who handles Social Security Disability, SSI, Personal Injury, Medical Malpractice and related Injury and Disability cases. Some of the services that I will provide for you in handling your case, in addition to the legal issues, are suggesting what type of physician, and/or psychiatrist or psychologist, appear to be needed to help you get better medical treatment and document your injuries and impairments resulting from physical and/or emotional disabilities. While I am not a doctor, nor will I presume to take the place of one, I have extensive experience in certain types of medical, disability and related issues. This knowledge enables me to give you assistance in indentifying and locating appropriate medical professionals to evaluate and document the medical limitations and disabilities caused by your medical impairments and how these impairments impact your ability to function. I will give my cell phone and office telephone numbers to you once you become my client. You can call me anytime, including evenings and weekends. I will travel to any area in Oklahoma to meet with you, if the facts of your case justify it. Likewise, I will be glad to give you a free 15 minute review of your case by telephone, after which you can decide if you want to meet with me to take your case.